GBEAVER Theme uses “Poppins” font for heading and “Alegreya Sans” font for body text. Users can easily replace these two fonts with their custom fonts. For instance, If you use “Montserrat” font for heading & “Sorts Mill Goudy” for body text. Navigate to google fonts site (https://fonts.google.com/) and search the “Montserrat”. Now click on “red plus” icon and select the font. Similarly, apply the same procedure for “Sorts Mill Goudy” font. Now expand the “Fonts Selected” panel and click on “customize” link. Setup the font’s weight like attached image. Click on “Embed” link and copy the blue part only at standard section (see the image below). 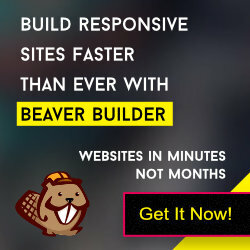 Subsequently, you will open the functions.php file from gbeaver folder and go to “gbeaver_enqueue_scripts_styles” function. Find the text “Alegreya+Sans:300,400,700|Poppins:700” and replace it with “Montserrat:700|Sorts+Mill+Goudy:400,400i”. Save the file. Next open the style.css file and replace the ‘Poppins’ with ‘Montserrat’ (apply search & replace method). Similarly, replace ‘Alegreya Sans’, sans-serif with ‘Sorts Mill Goudy’, serif. Save the CSS file. Now refresh your site and see the changes.